If you received LWA clothing that does not fit you, please contact our "apparel matchmaker", Kathy Crampton, and she will list your items at the following location, and in the newsletter. Conversely, if you are interested in any of the listed items, contact Kathy, and she will put you in touch with the person who listed them. World Bicycle Relief is mobilizing people through the Power of Bicycles. With six assembly facilities, WBR is empowering people across Africa. So far WBR has provided bikes in Angola, Botswana, Kenya, Malawi, Mozambique, Rwanda, South Africa, South Sudan, Sri Lanka, Tanzania, Uganda, Zambia and Zimbabwe. Specially designed, locally assembled bicycles are provided to entrepreneurs, healthcare workers and students across rural Africa through sustainable work-to-own and study-to-own programs. WBR also trains field mechanics to ensure access to maintenance and spare parts. To date the Lehigh Wheelmen and LWA members have donated 80 bicycles to WBR. 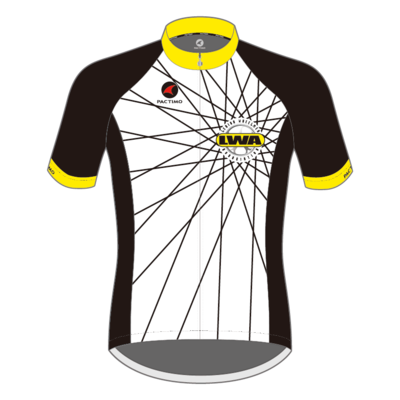 We hope that after riding with us, you will consider joining the Wheelmen, not only to enjoy the above benefits, but also to contribute toward our efforts to promote safe and enjoyable riding in the Lehigh Valley area and beyond. Community Bike Works is more than learning how bikes work; it’s learning how life works. At risk students from center city Allentown team up with mentors for a 12-week course in bike mechanics and safety. They learn work skills and see the satisfaction of turning a broken bike into a functional one. On graduation, students earn their refurbished bike and a new helmet. PA VEHICLE CODE AS IT PERTAINS TO BICYCLES - IMPORTANT, EVERY RIDER SHOULD KNOW THIS!